Swieqi St Julians apartment to rent in Malta enjoying a large terrace and minutes away from St Julians centre Paceville, St Georges Bay, shops, banks, restaurants. Two bedrooms providing accommodation for 6 persons. 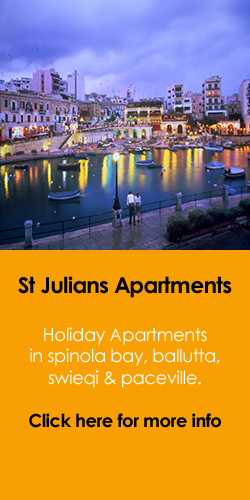 St Julian's self catering holiday apartment. Air conditioned, 3 bedrooms, bus stop, a few minutes walk to the sand beach of St Georges Bay and all amenities in the center of St Julians. Highly recommended. Modern 2 bedroom apartment in for rent in Swieqi, St Julians, situated, close to a bus stop and just 5 minutes walk towards the sandy beach of St Georges Bay, Paceville & St Julians center. Accommodates 3 to 5 persons. Lovely, modern 3 Bedroom Apartment for Rent in Malta, St Julians, just a few minutes walk to St Georges Bay beach. Fully Air-conditioned and equipped. Free WiFi, Lift access. 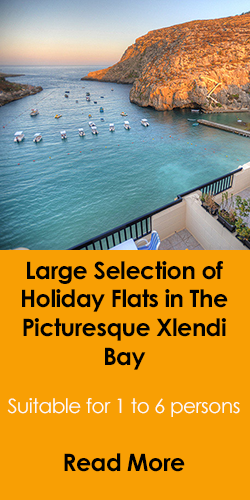 An ideal base for groups of up to 8 persons spending their holidays in Malta. A lovely apartment in the sought after residential area of Swieqi, St Julains. Accommodates 5 persons comfortably with the possibility of adding an extra 2 beds. 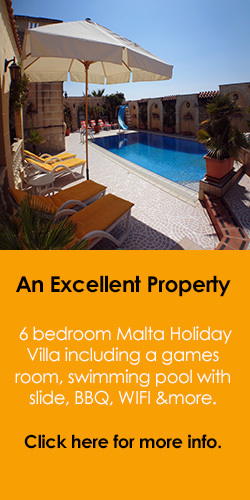 Rent a holiday apartment in Malta St Julians, just a few minutes walk to the beach or city center. Accommodation for up to seven persons in three bedrooms in a residential area of Swieqi. Malta apartment to rent in Swieqi, St Julians, providing holiday accommodation in Malta for up to seven persons. Located in the residential area of Swieqi minutes away from Spinola Bay and St Georges beach. Very spacious and well finished 3 bedroom apartment rental in Saint Julians, Malta, enjoying a lovely garden, patio and splash pool. Accommodation for up to six persons. Good location. A lovely apartment in Saint Julian's, ideal for guests intending to spend their holidays in Malta in an excellent location. 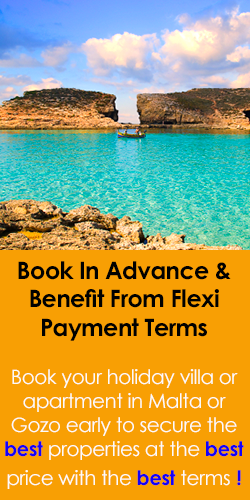 The apartment is situated in Swieqi, which is a residential suburb of St Julians and just a few minutes walk to the beach in St George's Bay. Comfortable modern two bedroom apartment to rent for holidays in the residential area of Swieqi St julians. Just a short walk to the beach, St Georges Bay and St Julians centre. Highly recommended. Comfortable modern 2 bedroom self catering apartment for rent in the residential area of Swieqi St Julians. Just a 5 minute walk to the beach, St Georges bay & St Julians center. 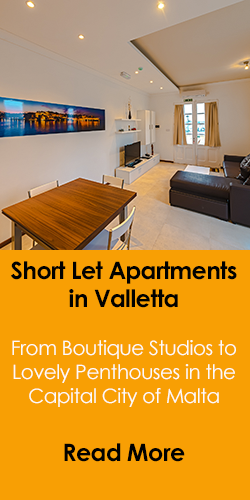 Fashionable Designer Apartment in Madliena limits of Swieqi St Julians. 3 double bedrooms, access to swimming pool, large terrace with fantastic views, gym, fully air conditioned, lift with direct access to apartment. 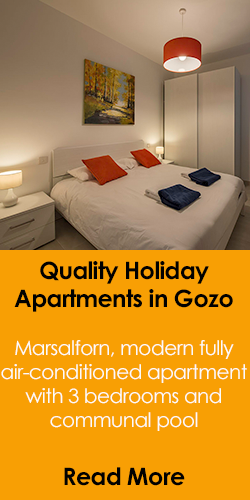 A great place to stay during your holidays to Malta. WOW!! - A beautiful apartment to rent in Swieqi, St Julians, ideal for short stays whilst on holiday. Located a few minutes walk to shops, the beach, bus stop and the city center. 3 bedrooms, accommodation for up to 6 persons. Highly recommended place to stay. Cosy one bedroom modern apartment rental in St Julians, Swieqi close to shops, St Georges Bay beach, bus stop, language schools, and the entertainment areas of Paceville and Spinola Bay which are approximately 10 minutes away on foot.